Swedish independent studio Cosmic Picnic, staffed with senior DICE and Ghost Games employees, proudly presents the release of ‘Amazing Discoveries In Outer Space’ (ADIOS) for Playstation 4. The game will be available through Playstation Store on February 2 in North America and February 3 in Europe. ADIOS is an odyssey through the galaxy where physics-based space-flight and platforming action blend seamlessly together. Explore a colorful universe filled with amazing discoveries, alien races, and fashionable hats. 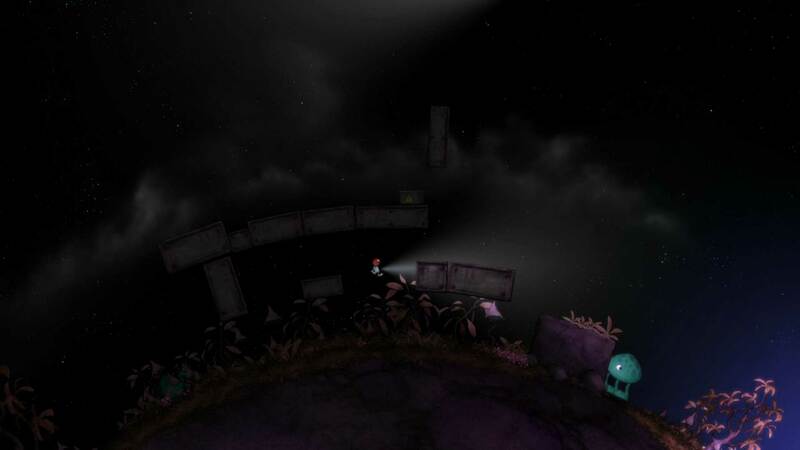 “We wanted to find the sweet spot between a NASA space mission and a 2D platformer. Seamless transitions between planetary action and space-flight. Exit the ship at any time and any place. Cosmic Picnic is a small group of experienced Swedish game developers that were looking for new adventures and creative freedom. Previous titles worked on include: SQRXZ, Battlefield 2142, Battlefield: Bad Company, Battlefield 1943, Mirrors Edge, Battlefield: Bad Company 2, Battlefield 3 and Need for Speed: Rivals. An untimely navigation computer reboot leaves you in search of your home world with limited fuel reserves. So get creative and let gravity be your guide to saving fuel. Also, don’t be afraid to let your legs get some of that much needed workout as you search for clues to get you closer to home. Newtonian spaceflight combined with platformer style planet exploration. Comprehensive physical simulation of entire solar systems including gravity, temperature and atmospheric air resistance. Procedurally generated solar systems, each with a plethora of planets, asteroids, alien species and strange artifacts. The dev team had circled the sun quite a while before they decided to go indie. Previous titles include: SQRXZ, Battlefield 2142, Battlefield: Bad Company, Battlefield 1943, Mirrors Edge, Battlefield: Bad Company 2, Battlefield 3 and Need for Speed: Rivals. They are separated by the epic vastness of the Swedish country, forced to communicate via electric signals only. But they are fiercely determined to create the best possible game for humanoid bipedals.